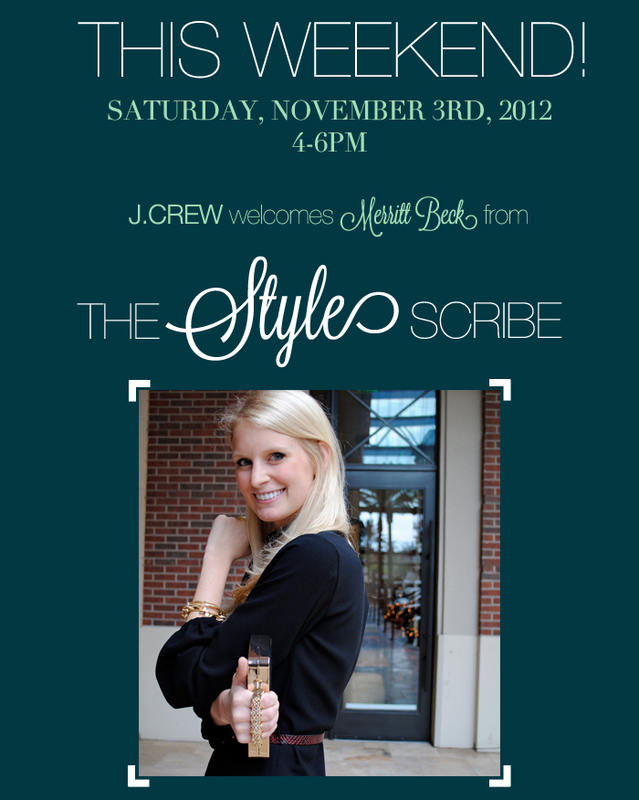 I’m getting so excited for the J.Crew event I’m hosting this weekend in Austin! Come by The Domain location from 4-6pm on Saturday for a style presentation and window display by yours truly, beauty by Cren De La Cren, and plenty of lite bites, sips and lots of shopping! Oh how fun, Merritt! If I was in Austin, I would totally go! !